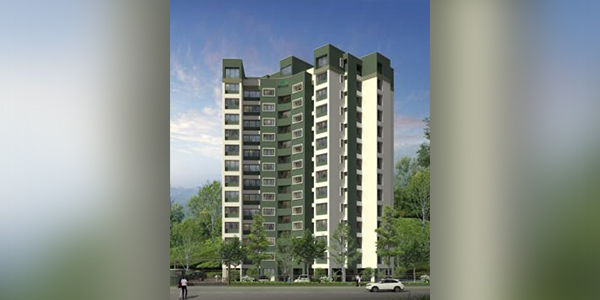 The apartment stands out as a premium location comprising luxury villas and all modern amenities of comfortable living. The apartment consists of 13 floors, with penthouse on top. 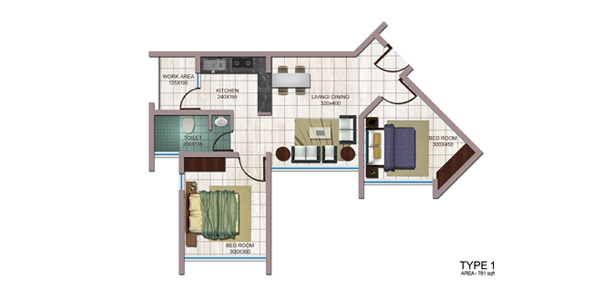 The flat consists of 2 bedrooms, separate bathroom, common living/dining area, and separate work area next to kitchen. A cozy, vaastu-perfect home for a small family. The apartment comes with latest facilities like Health Club, Swimming Pool, Solar lighting for common area, Children’s play area, 24 hrs power backup and round-the-clock security. It is a great place for you to enjoy the peaceful comfort of home encompassed by lush green surroundings, and has huge investment potential as one can rent it out to tourists and travelers.